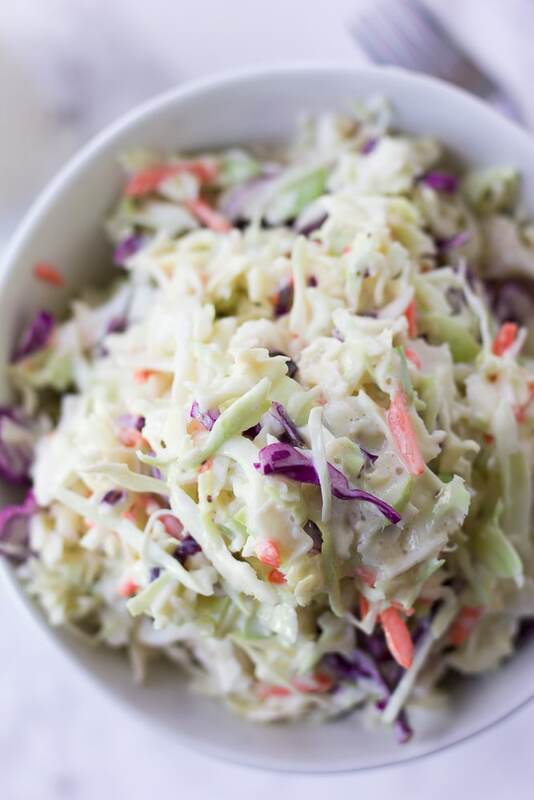 Classic Vegan Coleslaw made with the perfect dressing and ready in 5 minutes. This is the perfect dish for summer cookouts and potlucks! 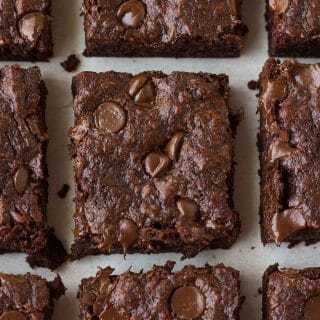 Oil free & healthy. Classic Vegan Coleslaw is the perfect, essential side dish for summer. 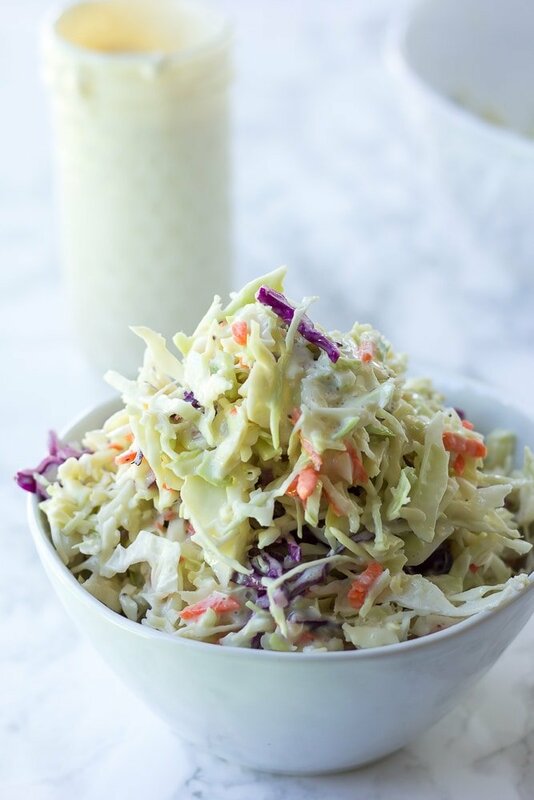 This coleslaw is made super healthy with my Tofu Vegan Mayonnaise Recipe. No one will know this coleslaw isn’t packed full of oil and calories. 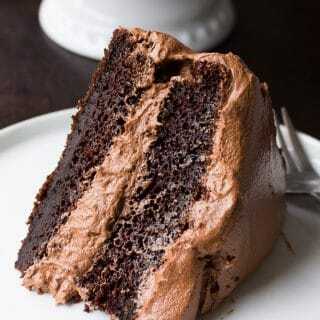 It just tastes delicious! 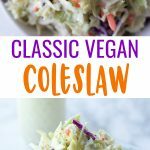 What to serve with Classic Vegan Coleslaw? & any other summer favorites! 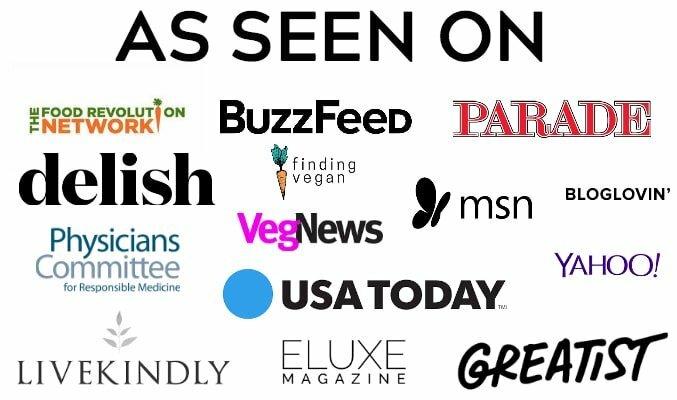 DON’T FORGET TO FOLLOW ME ON PINTEREST FOR MORE EASY, HEALTHY AND TASTY PLANT BASED VEGAN RECIPES! Add the tofu mayonnaise, granulated sugar, apple cider vinegar, salt and celery seed to a large mixing bowl and whisk together until fully combined. Add in the coleslaw mix and stir well. 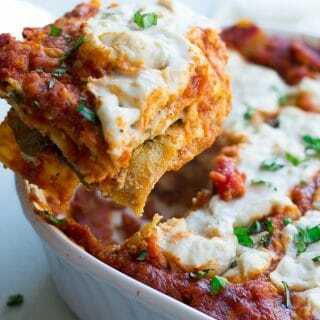 Cover, and refrigerate for at least 2 hours before serving, if possible. 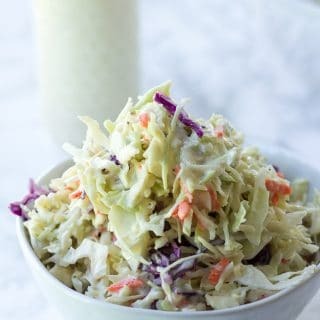 I used a bag of coleslaw mix to make this really easy, but you can of course chop up your own mixture of green cabbage, red cabbage and carrots if you'd prefer. Make sure you have about 5 cups total.